"Non-traditional aged students from Massachusetts or Northern Rhode Island in need of additional coursework or certifications may be eligible for a scholarship ranging from $250-1,500. Now in its 31st year, The Women’s Success Network is now accepting applications for its 2018 Founders Scholarship. In conjunction with the general WSN Founders Scholarship, Fisher College and Dean College will also sponsor specific awards for non-traditional student applicants. Applications for scholarship consideration will be accepted through March 15. Typically, four to six scholarships are awarded, with proceeds from ongoing WSN fundraising. Information and applications are available at http://wsninc.org. Applications will be reviewed and interviews will take place in April. Selected applicants will be notified in May. The 2018 Scholarships are awarded at the WSN dinner meeting held on Wednesday, June 6." 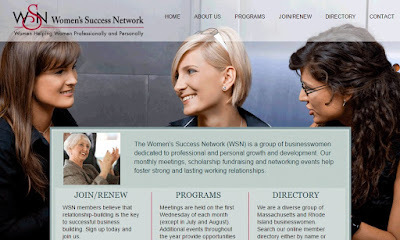 Note: the website for the Women's Success Network appears to be offline at the time this post was made. The application link could not be verified.